Now that the temps are beginning to rise, does your mind wonder to planing in the backyard? If you are thinking of tilling up that garden or doing any digging on our property, they your first step is to Call Before You Dig. There may be buried phone lines or fiber optic cables below. Severing those could cause and expensive service outage, leaving you and your neighbors without TV, phone, and internet. 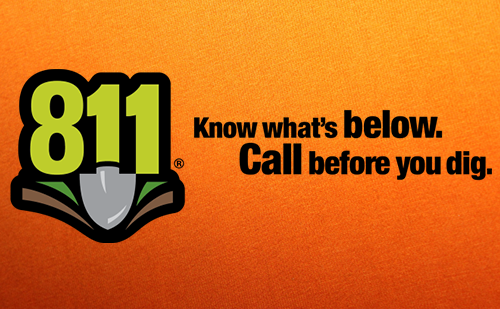 Call 811, or NCTC at 615-666-2155, at least 72 hours before you plan to dig. We’ll come out and mark the lines free of charge.